1 Comment on Top-notch new releases! Love being in the loop with all things new and delightful in the drinks world? We’re here to help! Eagle-eyed MoM users may have noticed that on our site we have a New Arrivals page, where we list all the shiny new booze that comes to MoM Towers. From beer, Cognac, gin, rum, Tequila, vodka, whisky and more, it’s the place to be to find the latest and greatest drinks. Fans of our blog will also have seen that we’ve started a weekly series: New Arrival of the Week, where we take an in-depth look at an interesting and tasty new products from the previous week that caught our eye. On Monday we talked all things HYKE Gin, for example. 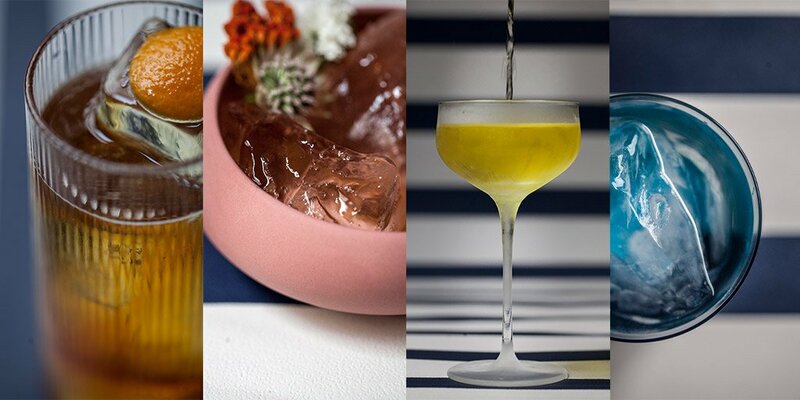 But we decided that this week, just to make things even easier on you, we’d round-up some of the most intriguing, original and downright delicious drinks to be released recently. So whether you want to see what’s new in the world of gin, whisky, liqueur or rum, we’re sure you’ll find something in this list to suit your needs. Enjoy! Irish whiskey isn’t the only spirit category on the Emerald Isle that’s enjoying a boom in popularity, Irish gin is making its mark also. Listoke 1777 Gin, one of the most recent additions to the bourgeing scene, was distilled at what is said to be Ireland’s largest gin distillery with a botanical selection including juniper, rowan berries, cardamom and orange. Try this in a G&T with a sprig of rosemary and you’ll soon see what all the fuss is about. Pronounced piney juniper, bursts of citrus throughout and herbaceous notes, with warming spice lingering on the finish. It would appear that legendary Japanese whisky producer Nikka has created another winner here in Nikka Days. A blended whisky featuring spirits from the Miyagikyo and Yoichi distilleries, this dram is fruity, bright, slightly peated and thoroughly tasty. Fresh and fruity apples, pears, honeydew melon and strawberry, orange oil, malt sweetness, roasted nuts, toffee apple, vanilla fudge alongside a hint of barrel char. A celebration of Big Peat’s 10th birthday, this limited 10-year-old expression of Douglas Laing’s tribute to the feisty Ileach fisherman is a very welcome new addition to MoM Towers. Bottled at 46% ABV without chill filtration or colouring, this popular Islay blended malt Scotch whisky packs plenty of those classic smoky flavours the brand’s followers love. It’s the perfect way to toast the familiar face on the bottle’s label. Roasted peanuts, petrichor, fresh pear, meaty malt, BBQ char, toffee, new leather, tobacco, honey on toast and plenty of peat smoke. Milk & Honey may have stolen the headlines as Israel’s first whisky distillery, but the brand has certainly demonstrated it knows its way around all things juniper. Milk & Honey Levantine Gin was distilled with a base spirit made from 100% malted barley and locally-sourced botanicals such as cinnamon, chamomile, black pepper, lemon peel, verbena, coriander and hyssop. The botanicals were macerated for 24 hours before a third distillation in order to create a smooth profile. Anyone for Martinis? Prominent juniper and lemon citrus, with herbaceous notes and soft spices in the background. Anybody who has followed Tamdhu since its welcome comeback knows that the Speyside distillery is all about sublime sherried whisky. The limited edition 15 Year Old is no exception. Matured in American and European oloroso-seasoned casks and bottled at 46% ABV without any chill-filtration or additional colouring, Tamdhu 15 Year Old makes for an intense, rich and rewarding dram. Strawberry boiled sweeties, heavy dried fruit notes, a hearty slice of dense fruitcake, toasty oak warmth, orange oil, earthy vanilla, waxy peels, clove, chocolate ice-cream and walnut. Making delicious rum that’s value for money is not an easy balance to strike, but that’s exactly what west London distillery Bimber has achieved here. Crafted using local ingredients, Bimber Classic Rum was distilled from molasses in both copper pot and column stills before it was also bottled and labelled on site. We recommend you put the fruits of Bimber’s labour to good use in a nice Daiquiri. Dried grass, caramel, vanilla, soft stone fruit, cracked black pepper, dark chocolate, banana foam sweets, more grassy malt and dark Muscovado sugar. If you’re going to make a gin-based liqueur, you’ll want to make sure you at least start with a quality gin. That’s exactly what Cambridge Distillery did with this Elderflower Liqueur, which was distilled using its award-winning Cambridge Dry Gin. Made to be enjoyed over ice, splashed in a glass of fizz or in any number of cocktails, this liqueur should prove as versatile as it is terrifically tasty. Heady floral notes, wonderfully fragrant elderflower against a backdrop of juniper and herby botanicals. An expression that celebrates Cochrane Cartwright, the distillery manager in 1869 who famously introduced sherry casks to Glengoyne, Chapter One of The Legacy Series was fittingly matured in first fill European oak Oloroso sherry casks as well as refill casks. For those who enjoy the sherried and the sublime, this is one for you. Luxurious sticky toffee pudding, dried fruit, Christmas spices, vanilla custard, gentle oak, stewed pear and cinnamon spice. Smoked rosemary is no longer just a fixture in distinctively delicious cocktails thanks to That Boutique-y Gin Company and its latest release: Smoked Rosemary Gin. Evocative, intriguing and bold, I can only imagine the raucously good Red Snappers you could make with this gin. Strong herbal notes, plenty of juniper, saline seashore smells, smoked bacon, lemon, a big hit of rosemary and cracked black pepper. The Return of Ask #WhiskySanta… He’ll grant one wish per day! 30 Comments on The Return of Ask #WhiskySanta… He’ll grant one wish per day! Guess who is back… Back once again… #WhiskySanta is back! Tell all your friends and loved ones. Ho ho ho! A bit of the M&M-style wrap for you there. I like to stay current. That’s right, your favourite festive, omniscient, supernatural, heavily-bearded being is back from his holibobs. I may have only had ten months off after last year’s festivities (during which I even received a shiny ISC award) but a tinsel-covered alarm clock has gone off somewhere and I’m feeling extremely generous once again! Time to make some lists and check them twice – lists of people using #WhiskySanta, that is – before granting one wish per day for you lucky people for a second year running! No Comments on #BagThisBottle is Back! Earlier this year we launched our #BagThisBottle Twitter competition, with 10 lucky winners bagging themselves a free bottle of tip-top-tipples. Well guess what? We’re bringing #BagThisBottle back! In just a few quick clicks you could get your hands on a free bottle of some of the tastiest spirits around. Ask #WhiskySanta… He’ll grant one wish per day! 13 Comments on Ask #WhiskySanta… He’ll grant one wish per day! Greetings, chums. It’s your favourite festive, omniscient, supernatural, heavily-bearded being here, Whisky Santa! Around this time of year, I always start feeling particularly generous. Usually I just give the reindeer some extra carrots and be done with it, but this year, I’m going all out with the presents for drinks fans. I’ve already upgraded 1 in 10 Whisky Advent Calendars to Premium Whisky Advent Calendars, and now, I’m going to grant one wish per day for you lucky people! The Best-Laid Plans of Mice and Malt… Sometimes Go Pretty Well! 1 Comment on The Best-Laid Plans of Mice and Malt… Sometimes Go Pretty Well! Some lovely folk have been very kind. A box on my desk! Who left this behind? And claimed the contents within by default. Dramboree 2014 – Another Whisky Weekend in Scotland! 1 Comment on Dramboree 2014 – Another Whisky Weekend in Scotland! Ah, Dramboree. A truly fantastic event, and one that’s difficult to convey in all its glory within a blog post. (One of the many reasons it’s taken me a little while to get round to this write-up.) For those who don’t know, Dramboree is a whisky weekend held in Scotland in early July that’s simply getting better and better with age. Next year it will be three years old. The requisite age for it to be referred to as the real deal? Well, based on the taste we had this time around, we think it’s getting pretty close to perfect already. The second ever Dramboree was attended by 64 people (that’s about double the number from the first year), most of which first descended upon Glasgow in order to hop aboard the Dramboree coach for a magical mystery tour the hour or so long journey to the shores of stunning Loch Lomond. Dramboree 2014 – Tickets on Sale Tomorrow! No Comments on Dramboree 2014 – Tickets on Sale Tomorrow! What more could you possibly need to know?! Well, Dramboree is a fun and informal annual whisky weekend of the very highest order, now in its second year. Taking inspiration from Maltstock, Whisky Squad’s Jason B. Standing and The Great Whisky Company’s Jonny McMillan found themselves discussing a perfect UK-based whisky weekend a couple of years ago before it dawned on them that they were the exact people to make it happen! Hey presto – Dramboree was born, and after a highly successful first outing, this year promises to be even bigger and better! Earlier this year we flew up to Glengoyne to help select a very special cask for bottling. The cask would be chosen by the great and the good from England’s whisky retailers, and we’ve been very excited to announce it is now in stock! Sample after sample were tried until the very best cask was found – it’s a hard life, that of the whisky merchant ;-). Pleasingly, it’s a very, very dark little scotch whisky, thanks mainly to the sherry hoggie it was matured in. The beautiful bottles arrived yesterday, and the packaging is rather handsome – wooden and very smart. Okay, so just a teaser at this stage, but you all remember the Glengoyne ‘Scottish Merchants’ Choice’ that was released last year? Yep – you’ve got it – the English Merchants’ Choice is coming soon!!! A full report will follow, but suffice it to say that Master of Malt were sequestered in the Glengoyne sample room with four of England’s greatest (other) whisky merchants earlier this year, and at great, great length selected a cask of which we are all supremely proud. The headlines have become rather depressing these days, filled with unscrupulous rogue traders and Brits abroad attempting to stem catastrophic oil spills with sporting goods and general bric-a-brac grade detritus…. The headlines have become rather depressing these days, filled with unscrupulous rogue traders and Brits abroad attempting to stem catastrophic oil spills with sporting goods and general bric-a-brac grade detritus. It’s all a tad bleak, so it’s a good thing you can always count on us to brighten your day with some whisky-related jollity. Today we are excited to announce we now sell whisky samples from Compass Box and Ian Macleod (including a phenomenal selection from the Glengoyne distillery). The team at Little Red Door has created a new drinks selection, taking 10 untranslatable words and using them to inspire corresponding cocktails. #Absinthe: a drink that needs little introduction - which makes writing this copy really easy. Come check out our amazing absinthe selection!